It was the end of a long day when our coach broke down in the middle of nowhere. The driver couldn’t restart it. Another coach was promised in 3 hours. I was in charge of 33 lively eleven year olds who wanted to know what I was going to do. They were hungry and tired. So was I. With 2 assistants I’d been with the children for 12 hours. After my silent prayer - “help” - these words came to mind: “you give them somethingto eat". When the Lord tells me to do something, then like Jesus' disciples faced with the impossible task of feeding 5000 men (besides women and children), I tend to respond by telling Him why I can't. We had no food left, minimum emergency cash and no credit card. The shops were closed. How could we feed the children and ourselves? A miraculous free delivery of pizza? Someone to take away the children while I slept? Not a hope! (This was before mobile phones.) What happened? I’ll tell you later. 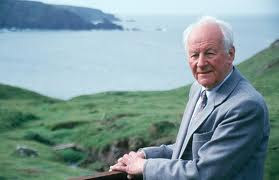 I have been thinking about all that I owe to the late John Stott, pictured here in a photo by John Yates taken at The Hookses, near Dale in Pembrokeshire. I'm still not ready to put my thoughts into a blog post. I will, but not yet. Meanwhile, here is his answer to my question - what is Christianity? "Christianity is not primarily a theological system, an ethical system, a ritual system, a social system or an ecclesiastical system - it is a person: it's Jesus Christ, and to be a Christian is to know Him and to follow Him and believe in Him. "Thank you 'Uncle John'. For some tributes to him see here (a special section of the London Institute for Contemporary Christianity website) among many other places. I'm feeling so sad to hear of the death yesterday of a great Christian preacher, teacher and writer - John Stott. I owe so much to his ministry, especially in my earlier years. He might not have approved of this way of praying, but may he rest in peace and rise in glory! Today is the Festival of James, Apostle. 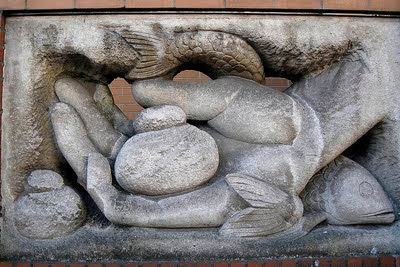 James and his brother John worked as a fisherman with their father Zebedee on the Sea of Galilee. 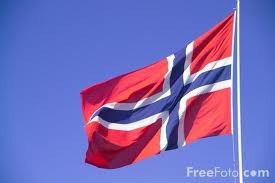 The red and blue of Norway's national flag are said to represent freedom. 'Freedom' is a 'good' that Norwegians value highly. They take pride in the openness of their society, in tolerance and liberal values. All this must depend to a large extent on trust within their communities. Will this trust be destroyed by the dreadful destruction of human life and property in Oslo and Utoyah Island yesterday? I associate Norway with peace, probably because I've only visited as a summer holiday maker, touring its beautiful landscape, the last time 2 years ago for my nephew's wedding to a Norwegian. I don't associate it with fanaticism, urban bombings or mass shootings. Neither have the Norwegians, until now. They need our support and prayers. This icon is in Grace Cathedral, San Francisco and was made by a Franciscan friar, Robert Lentz. It was commissioned to commemorate the election of the first female Anglican bishop, Barbara Harris. 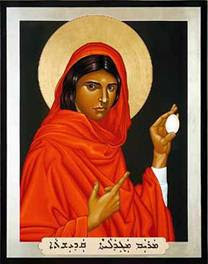 The Syriac inscription reads, 'St Mary Magdalene'. The language was chosen because it is a form of the language spoken by Jesus. I've recently returned from a holiday with my husband in the Austrian Alps. For us, walking in the mountains restores a sense of proportion and ‘joy of being’. On the one hand is the awesome scale of the landscape. On the other is the beauty, seen on the tiniest scale in the anemones, gentians and edelweiss opening in rock crevices above the tree line. We like to start each day by rising as high as possible, using the chair or gondola lifts. The day’s activity then becomes a homeward walk, assisted by sticks, anticipating a superb evening meal and warm Tyrolean welcome. We follow well-trodden hiking paths, from one mountain alm to the next. At each stage of the journey we look forward to the next beaker of milk straight from the cow or the beer kept chilled in the icy water of the mountain brooks. It feels like a foretaste of heaven. Can evil be rooted out? If so, how? And whose job is it? Can a community purify itself of corrupt practices or 'bad' people? 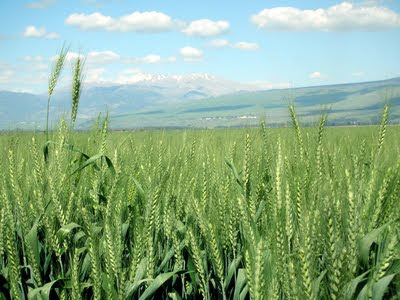 Penelopepiscopal has posted a sermon today on Jesus' parable of the wheat and the weeds, which was today's gospel from Matthew 13: 24-30, 36-43. She suggest that in this parable several realities confront us. "First, good and evil, as well as good and bad, and good and not so good, exist side by side. Second, they are hard to tell apart until they are in full fruit. Third, the good often gets damaged when someone tries to root out the bad. "She raises difficult questions such as why is there evil in the world and what are we supposed to do about it? Is Jesus telling us in this parable that we must sit and do nothing when bad things happen? I've just finished trawling through several pages in The Guardian about the News of the World scandal, which The Guardian is making the most of for its own purposes. There will no doubt be many more revelations to come (or dirt dug up) on this story and invevitably and justifiably British trust in our institutions will be further eroded. 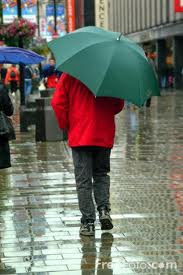 For forty days, 'twill rain na mair. It's sunny here now, but rain is forecast - much needed for the dry gardens and fields. So what weather will we have for the next weeks? And what has that got to do with St Swithun, whose day is today? And who was he anyway? Happy Bastille Day to the French and Francophiles. As you know it's 'Le Quartorze Juillet' or 'La Fête Nationale' in France. Enjoy the fireworks. 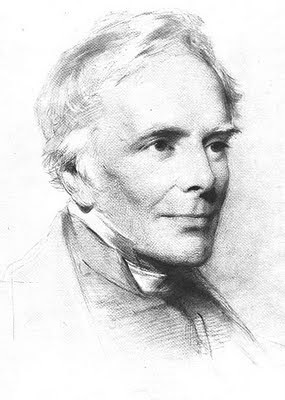 In the Church of England today is the commemoration of John Keble, Priest, Tractarian, Poet. I'm not expecting fireworks. I first became aware of John Keble (pictured left) through 2 books of poetry belonging to my maternal grandmother. These were 'The Psalter in English Verse' (a metrical version of the Hebrew Psalms) and the better known 'The Christian Year' published 1827, popular as a devotional book throughout the 19th century.